Amy Luetke and the staff at The Property Shop are AMAZING! A good friend recommended her and we found out why. She managed the sale of my elderly mother’s home of many years with kindness for her and great efficiency for family being across the country. We were well informed every step of the way and questions welcomed. My husband even commented “that was a smooth sale and transition”, and we have more than a few home sells under our belt. We felt we received a good price and it sold in a short time. She knows her market. Thank you Amy and The Property Shop! Very friendly and helpful, always available, on top of everything, and very easy to work with. Wendy was a joy!! Wendy – Great got what I wanted, it happened fast. We had several conversations with Wendy before we actually met. When we did she was very personable and professional. She spent time explaining the business relationship and answered questions to assure we understood. When it came time to view the property, Wendy had snowshoes for us and allowed us to explore the entire site. We spent considerable time and walked the perimeter and transverse the middle. After we decided to make the purchase Wendy was attentive to the times and made sure all the documentation we needed we had and understood. Communication was excellent. We never wondered what was happening and felt we were always in front of the transaction. We look forward to continuing the relationship. It was a zero stress process Thank You. Kathy and Jen were on top of it from the moment we started working with them. They continually came up with a refined list of properties to look at and made it fun to go see properties as well. They were responsive to all of our phone calls and we’re always patient when answering them. They also accommodated our crazy closing schedule which was complicated by the birth of an out-of-state grandchild. They are warm and friendly and caring. We loved working with them. 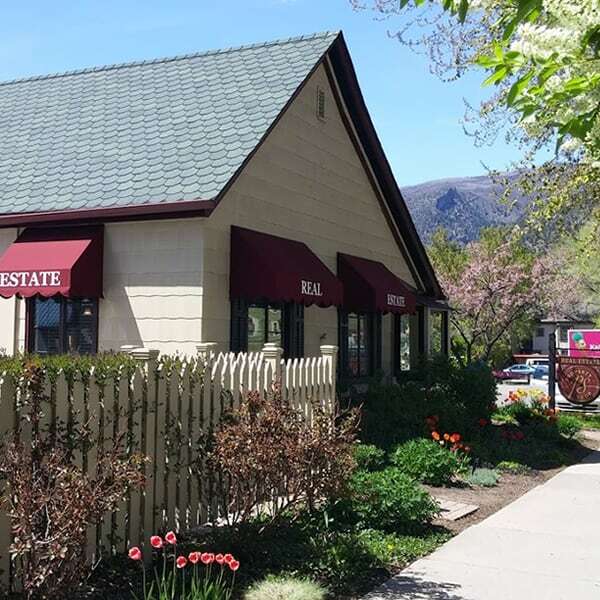 Haddie Lopez with the Property Shop took excellent care of me in the purchase of my house in downtown Glenwood Springs and the selling of an investment condo. I highly recommend using her services and expertise. Thanks again, Haddie! Janelle was very happy and helpful!! She is like a ray of sunshine that made this a wonderful experience for me!! 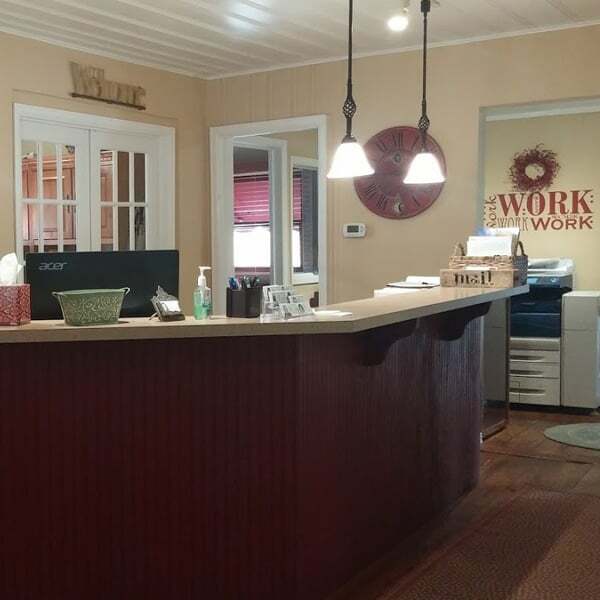 Jennifer VanDyke and the entire Property Shop staff were incredible during my first time home buying experience. They were patient with all of my questions, explained the process thoroughly so I would never be rudely surprised, and treated me more as a friend than a client. I would recommend them to anyone and everyone! Haddie went above and beyond with Terry and myself looking for a new home and selling our other property in the last 7 months. There are not enough kind words to describe how wonderful she was with our process with everything. Haddie is knowledgeable, endlessly patient, personable, incredibly generous with her time. We will truly miss home searching with her. Buying a home these days is very challenging, but having Haddie on your side makes it a dream come true!!! We will and have recommended Haddie to friends that are thinking of buying or selling. Thank you Haddie for everything!!! Our experience was wonderful. Haddie took things too a whole new level. She treated us like family. She understood what we wanted. We admire her hard work ethic. She got all the things we wanted from sellers. I would highly and already have recommended her with all of our friends. We are very grateful to have Haddie Lopez find our very first home! Thanks to all of The Property Shop team. U guys have experience and a wonderful team. Working with Marianne was wonderful! She was responsive, informed and extremely helpful. As first-time homebuyers, the process of finding and buying a home seemed daunting. With Marianne’s help, it was anything but! Marianne’s input resolved all of the obstacles due to external matters with efficient procedures. Janelle helped making buying a house and selling a house as easy as it possibly could be. She was very patient and answered every question I had; even at 9 at night! She knows what she is doing very well and that helps the process go extra smooth! I would always recommend her as a Broker!!! Janelle honestly made my experience in buying a home absolutely amazing. My family and I couldn’t have asked for a better Realtor in her busy life while caring twins:) still was always there showing us any listings we we’re interested in and provided all the information we needed with them. Thanks Janelle going 10 months and we love our home! Couldn’t have been better! Janelle is very enthusiastic and a joy to work with. She makes herself available to answer any questions and is very knowledgeable. She has access to a lot of great people one might need in case of inspection or other issues. She really goes above and beyond! Even after buying our home she has made an effort to make sure we’re happy and not in need of anything. We only have positive things to report! Thank you Janelle and The Property Shop! Kathy and Jennifer are a true joy to work with. Within a very short amount of time it felt like we were working with friends, not simply an agent. They truly wanted to get to know us and understand our life and needs in a home. I couldn’t have been more pleased with the process of buying and selling a home through Jennifer VanDyke. She was always one step ahead all along the way. More than rewarding working with her. Highly recommend! Jennifer VanDyke was absolutely wonderful to work with. We considered selling our home by owner, but so thankful we chose Jennifer to list our property instead. From the beginning stages she was patient in explaining every detail, knowledgeable of the current real estate market and very professional. Throughout the entire process Jennifer kept us informed, was detail oriented and found a qualified buyer, all in a timely manner. We cannot thank Jennifer enough for an exceptionally seamless, speedy and enjoyable experience!! Marianne and Haddie helped us out in the purchase and sale of two different properties, I would recommend working with them for either side. Amy was responsive and helpful in my experience as a first time home buyer. She was pleasant, prompt and realistic in our communications. We have used Amy for buying and selling several properties. She is always on top of it all! She is fabulous! She knows her stuff! Thanks Amy, your amazing! Amy is very professional and is obviously very experienced in real estate! She kept us up to date, answered all our questions promptly and made the whole transaction go smoothly. We will highly recommend her to anyone buying or selling real estate. Thank you Amy, we appreciate your service! There are not enough words to describe the professionalism that Amy and EVERYONE in her office brings to the closing table! From start to finish our selling process was so smooth and easy! Will use Amy and The Property Shop Inc. for our next selling/purchasing endeavor. Our home sold in 3 days full price offer! Professional photos to staging she is the best! We hired Amy to sell our Carbondale home of 16 years. We requested that there be an open line of communication good or bad. Amy was excellent in all areas but especially in keeping us informed about possible buyers. We would highly recommend Amy as your agent as she works hard on your behalf and makes the selling process manageable. The Property Shop is the right company to use for the sale of your property. I was buying my home from a distance and it was reassuring to know I could trust Janelle. She was always available to answer my questions, even with two babies on her lap. I hadn’t bought a home in 30 years so the stepped approach to the purchase was most helpful. I love my new home and would not be living here now without Janelle’s help. Thanks Janelle! The Property Shop was a top notch experience. Wendy was our broker and she did an amazing job. She’s very professional. She went above and beyond what we could have expected. Every encounter we had with anyone through The Property Shop was great. As a seller I very much appreciated the advice regarding getting the property inside and out ready to sell. 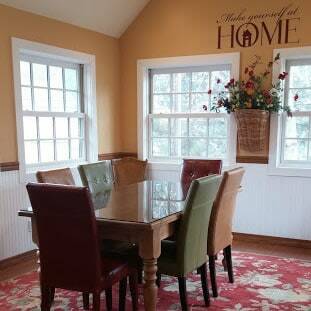 Amy’s market knowledge was strategic and critical as we positioned the house in the local market. Her negotiating expertise was indispensable and very effective. The knowledge of technical real estate issues helped us respond appropriately as a number of issues stood as potential deal killers but were avoided and resolved proactively. Top rated selling experience for me and hence the strong recommendation! Marianne was always available to walk us through the process, which was invaluable as first-time home buyers. We always felt that we could approach her with any questions that came up, and always received a prompt resolution. Pleasure to work with! Amazing! Knows the area and market well. Very helpful in finding a home we love! She was able to assist us through closing on selling to someone we knew, as well as purchase a property before it even had a chance to hit the market! We highly recommend Janelle! She was very patient with us and made the process fun. She was extremely attentive and always had a smile. Thank you, Janelle! Cannot state strongly enough how much I enjoyed working with Amy. She volunteered to help with matters I would have never expected or thought of involving my real estate agent. I needed a painter for my new house – she found one. I needed a contractor for some projects – she found one. At every turn, Amy was there to help. She knows the market, she’s well regarded by her fellow professionals, she is reasonable in negotiations. I have had the good fortune to work with some very good realtors, but I have to say Amy ranks among the top of the list. My only regret about closing my real estate deals is I won’t have the occasions to visit Amy, who I now consider not just a real estate agent, but a good friend. I have worked with Amy on the sale of two different properties. Amy is a well- experienced professional with excellent judgment and great people skills. In my opinion, a sale is most successful when the seller and broker forge a partnership and bring their strengths to the table. I felt I was welcomed onto Amy’s team, including her wonderful assistant Erin, and we all worked together well. No undue pressure or unrealistic expectations, just the diligent and systematic pursuit of success. I highly recommend Amy and her team. Over the years, we have had the pleasure of working with Wendy on four separate transactions-three times as the seller and one time as the buyer. She has always been extremely knowledgeable and helpful, explains everything, and promptly answers all of our questions. Her hard work and professionalism makes the entire process simple and as stress free as possible. She’s just very caring and fun to work with and we highly recommend her. Wendy just sold our last house in one day–we couldn’t have asked for more!! We have bought two homes with Marianne at The Property Shop and things have gone very smoothly. Marianne also helped us sell one home and that was super easy. Marianne always makes us feel like she cares that we get into a house that will be great for us and that it will be a good buy. She is prompt at communicating and she gave us all the time we need to answer all of our questions. Thank you Marianne and The Property Shop for your great service. Love having the moving truck you offer to help with our move. I have many words all accompanied with red hearts and explanation marks!!! The Amy and Erin duo are a forced to be reckoned with! Between the two of them in a very short time knew who best to handle my ability to flip out at a moments notice! I recently called Amy crying over the final day of the sale of my home in Downtown NC because I was tired, stressed and over the moon with worry, she knew exactly what to say! I can’t believe how the 3 of us interacted with each other it’s as if they both knew what I needed, which is strange as my house got an offer on the day I listed it with Amy at the awesome PS!! Amy handled everything; she talked me through everything that I needed clarity on! I consider Any and Erin my new friends and I’m looking forward to many excursions at Eat Drink Bistro with these two! Highest praises lifted up to y’all! I will miss working with them and I thank them from the bottom of my Thank you to all y’all for giving me the use of your amazing van! Good job a ton of to all! Haddie – you were great, you went above to help me, I am enjoying my new home. Irma is a delight to work with. She was a great advocate for us and we will definitely seek her services again. She was very patient as we encountered some difficulties through our home search. We think we landed the perfect spot for us for right now and when we are ready for the next one, we will be calling her. She is straight forward, which we really appreciated! I would definitely recommend TPS. Janelle and Erin are the best ever! Top notch service. So happy! My husband and I love working with Marianne. She (as well as everyone at The Property Shop) is awesome: Friendly, professional and knowledgeable. Buying and selling a house is a lot more stressful than imagined. Marci helped us through the process in such a professional, caring manner. She was a pleasure to work with. Amy did a great job getting us through a challenging negotiation and getting our property sold. Amy is a real professional and I would highly recommend her for any real estate transaction in the area. Working with Amy was a delight! She made this complicated and stressful process simple and exciting. Her professionalism is exceeded only by her personal touch that makes it feel like you are her only client. Cannot say enough good about Amy and The Property Shop! Oh, and free use of The Property Shop moving truck? Yes please!! AMY IS AMAZING! Janelle is a kind-hearted and thoughtful agent that has her clients’ best interests in mind. While we ended up moving from the valley in pursuit of a job elsewhere, we absolutely wanted to let others know that Janelle is wonderful to work with and we highly recommend her services and expertise. She always made us feel welcome and open to communication whether it be inquiries or seeing a property at the drop of a hat. She took great interest in our search and what it would mean for our future. Thank you, Janelle! We recently sold our house, and Kathy made it happen. She knew all the right ways to handle everything from showings to contract to closing. We are highly satisfied with the entire sale, and would recommend Kathy for your broker. Thanks, Kathy. We were unsure who to use to find our new house in GWS. We went with Janelle Rhoton Lundin and I couldn’t be happier with the decision. 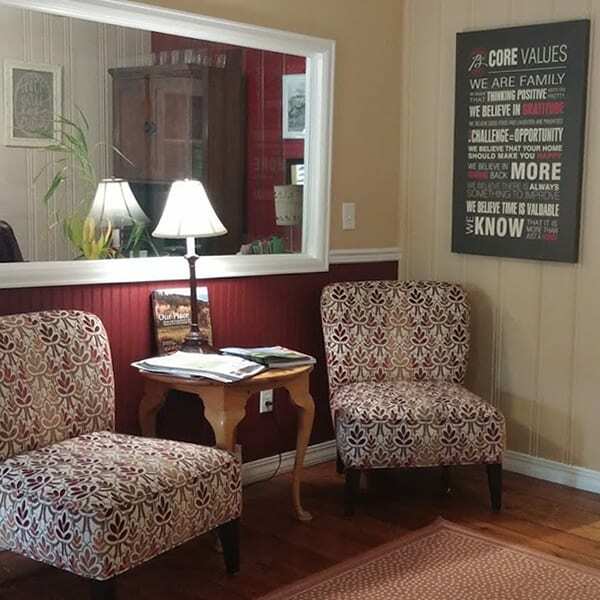 Janelle was knowledgeable, quick in responding to our questions and concerns and went beyond our expectations in finding us the right house in a town that we were unfamiliar with. Thanks Janelle for being so patient making this process fun!! Marci was referred to us by another Realtor we worked with in Durango and handled everything for us professionally and timely. We were selling a home in Denver at the same time and it was good to know that we did not have to worry about anything on the purchase side here in Glenwood. We could not have been happier in working with Janelle at The Property Shop. We loved her enthusiasm and flexibility. She quickly responded to any questions we had and was always willing to accommodate our needs in purchasing our new home. We love the home she helped us acquire. We would recommend her to anyone looking to relocate! We have used Amy many times over the past 10 years. She is beyond great to work with. She makes buying and selling homes so easy! She works hard and does a great job! I Highly recommend her! Amy Luetke was exceptional through the entire process. We needed to sell our home quickly with an unexpected move. She was in contact with us throughout the entire process and helped us know what to do for our property as well as what to expect throughout the process from pre-listing to closing. Rarely, do you find such a glowing, exceptional experience from beginning to end. We are so grateful for all her help, would recommend her to anyone who needs a true professional, and wish her and her team all the best! Thank you, Amy!! Marianne did a great job as always marketing and selling our property. We are out of the area so she took over had all the improvements done and made the house show great and closed the sale in a timely fashion. I would highly recommend The Property Shop to anyone that wants a great and easy sale of their property. Laura and the office staff are great also! Thanks Kirk. My experience with Janelle and the crew was amazing. I can’t thank you guys enough for all the hard work we put into this. Irma was excellent to work with! She was always available for questions and was very helpful to us as first time homebuyers. We were clueless about home buying, but Irma made the experience understandable and easy for us. Thank you again, Irma! Marianne was my realtor when we purchased our home in New Castle and just recently sold that same house. Each transaction went smoothly because she made sure all the paperwork was in order. Marianne communicated well and was always available when we had questions or comments. Marianne is very energetic, professional and a good friend. Being new in town I would ask Marianne to refer everything from a CPA to a contractor, I was always very impressed with her recommendations. I’m moving to the Eastern Slope and I wish Marianne could be my realtor on my next purchase. Thanks Marianne for all you have done for me when I needed it the most. I felt that I had a very positive experience with The Property Shop and Janelle. She was very professional and was always available to accommodate my needs. I would definitely use The Property Shop again and I would highly recommend Janelle. The process not only went quickly but smoothly as well. What a fun, upbeat Real Estate Agent! Janelle keeps you motivated from start to finish and excited about the whole transaction. I was lucky enough to get to work with her for the sale of my home! Everyone I dealt with was very nice and accommodating. Janelle was very proactive in the selling of our house. Our house was in an area many find hard to live in and she was always so positive with us and everyone interested in the house. She worked hard in promoting the house. Janelle was amazing and always there for us! Our real estate purchase went really well, Wendy, our realtor guided us through the process. She gave us a schedule of events relating to the contract so we were informed and up to date at all times. Wendy made the process easy to understand. We definitely would work with Wendy again. Amy Luetke is the most awesome realtor around Garfield county. She works all out for you and keeps well informed on whats going on with the sale of your house or the buying of your house. She is so very helpful with many great points on how to make your home more saleable. The first customer that looked at my house bought it and gave me exactly what I wanted. The sale went very smooth and with out complications. I highly recommend Amy as your realtor she won’t let you down, you won’t be sorry! Call Amy from the Property Shop she’s your realtor! Amy was amazing to work with! She is extremely professional, knowledgeable, and truly cares about her clients. The whole process, from selling to buying and moving, is very stressful, but Amy made it happen quickly and painlessly! Thank you! Fantastic service for the sale! Thank you Kathy. This is the second home I have purchase with Haddie and again I couldn’t be happier! She is super responsive and always kept me informed on the transaction. She is very knowledgeable with the local real estate. She goes the extra mile for her clients. I would recommend Haddie to anyone looking to buy a home! Kathy was very professional, supportive, knowledgeable, communicative and attentive. We were not present during the process of showing the property, inspection, making the offer, etc., so it was very important that we felt represented…and we did! Since we were not local, Kathy used available technologies in order to streamline administrative processes. The Property Shop is the best! Amy Luetke is an outstanding realtor. She truly goes above and beyond to make the home buying/selling process as easy as possible. She is detailed, knowledgeable and professional. I would highly recommend her if you are looking to buy or sell your home. My experience with working with Janelle was incredible! She is not only extremely knowledgeable, but also has that friendly characteristic that makes you feel comfortable in any situation. I would highly recommend her for any of your purchasing or selling needs. Thanks again!! If you are looking for a realtor to help you buy or sell property, I highly recommend that you contact Kathy Westley at The Property Shop. We have known Kathy for 15 years and she has helped us purchase and sell 4 properties in the area. Kathy is honest, kind, professional, has years of experience in real estate and great connections with all the right people! Kathy always has our best interests at heart. We found Amy Luetke by chance and are so glad that we did. She spent several months (yes months…) with us looking for a new home. She was professional, knowledgeable, understanding of our needs, and she truly cared about our family. I truly cannot say enough good things about Amy. If you are looking for a realtor, stop. Just pick Amy. PS – Her assistant Erin is absolutely fabulous too! Thanks so much for the great service you gave us during the time of Ashton’s condo purchase. You are truly the “A-Team!” We all appreciated your timely information and responses, as well as your efforts in the taking care of the “extras” that were part of the transaction. Marci, thanks so much for the very generous care package that was waiting in the kitchen for Ashton. Wow…..lovely! And a big thanks to the Property Shop for the use of the moving truck. The Taufer’s have put that vehicle to good use over the years…..and with much appreciation. Ashton’s new home is starting to take shape and he already loves being there. Marianne’s knowledge of the real estate market and the community of Glenwood Springs make ALL the difference when seeking or selling a home in this valley! Her experience in the business and her understanding of the sale process make both buying and selling property much less stressful. She responds to questions promptly and offers personalized professional advice at the right time, allowing the seller or purchaser to focus on the tasks needed for a successful sale or purchase and worry less during the process. I have worked with Wendy for almost a dozen years now – and without fail, she has been professional and helpful and super “on the ball”. Marianne was very professional, she listened to and showed us properties that she thought would suit our needs. When we changed our minds about the type of property we preferred, she was undaunted, and she was successful in finding the property we eventually purchased. Marianne made the process of moving less stressful. She helped facilitate some of the last minute details while we had already relocated out of state. She also was very honest, yet firm and in the end everything worked out better than we expected. I would work with Marianne again. The experience we had with Wendy at the Property Shop was fantastic. The time between listing our house and getting a full price offer was two, count them 1, 2 hours. That’s right, 2 HOURS. Wendy provided the necessary background information and helped us prepare for a sale that met our needs. We couldn’t ask for more than that. She also helped to guide us through the closing with no glitches. A great professional. Wendy is simply the best! She sold us our beautiful house with 0 issues. Best buying experience! Two years later we were relocated and Wendy did a great job getting our house multiple offers and our full asking price! If you are as busy as I am, you NEED a Wendy! She just takes care of it and comes to you with your options and solutions to any variables. Easy as pie! Thank you, Wendy! Amy Luetke had been our realtor for 2 home purchases over the past 3 years. She is very knowledgeable and a true professional. Both sales went thru without a hitch and the properties were delivered to us in excellent condition. The Property Shop provides so many thoughtful items to make your move go smoothly – including the use of a 15′ rental truck! We will always choose The Property Shop for any future real estate needs. We have been totally impressed with your professionalism, your knowledge of all things real estate, your enthusiasm, and mostly making us feel as though our transaction was your only one. We KNOW how busy you are, but your attention to detail, your availability, your graciousness was so valuable in our real estate dealings. We will always recommend Marci Pattillo. You have been great to work with. My experience was fabulous! I was a first time home buyer, totally clueless and Wendy guided us step by step and was always there for questions. We had a great experience in working with Amy. She is very dedicated to ensuring that all of our needs are met, and kept us informed of updates throughout the entire process. We are so pleased to have had her as our realtor and look forward to working with her for future real estate opportunities. Marianne is the best, extremely professional and just makes the whole experience so easy. She is the best in the business. Janelle Lundin is a rockstar!!! Words are not enough to express the incredible experience we had buying a home using you guys! Thanks to all involved with our process, keep doing your thing! It was a pleasure to work with Amy on a professional level as well as knowing her personally over the years. She knows the market extremely well and responded immediately to any concern or question we had. TPS has a valued reputation in the Valley due to it’s wonderful staff and commitment to clients. Thank you Amy, we will miss you!! Amy was a pleasure to work with for the sale of one of our transferees. Always prompt, courteous and informed. I look forward to working with her again in the future. Amy is great to work with! She did everything possible to make the process easy for me. Amy does a great job, goes over and above to make sure you have all you need! Would definitely use her again! Amy is the Best Realtor in the valley!! Did everything to expedite the search and purchase of our new home. Janelle is an amazing realtor and person. Very professional and caring. Thanks for a relatively stress free process. Wendy did an awesome job & was a pleasure to work with. Always watching out for my best interest. Thanks for all your hard work. My husband and I were beyond pleased with our broker Janelle Lundin. She went above and beyond to ensure that my family was moving in the right directions while keeping our goals in mind. Very compassionate and very caring! I would highly recommend her if you are looking for you dream home!!! Amy is not only professional, she’s personable. She has a good feel for the market – what’s available & what the values are. She’s a local with many connections. We’ve listed, sold & bought past properties with her & will do it again. We’d highly recommend her to anyone looking for a hard-working, honest & professional agent in the area. Wendy is proactive, professional and friendly. We have worked with Janelle on three transactions and have been very happy with the way she handled each one. She kept us informed, she always was willing to answer our questions promptly, she is very professional and does what she says she will do. We appreciate that she was very patient with us and provided detailed information when asked to. It was our pleasure to work with her. Irma has been the best broker I have ever worked with! She took the time to understand what I was looking for and provided great insight into the home buying process. As a first time home buyer, I was getting really overwhelmed by everything, but Irma was very patient with me and helped me to stay focused. At one point there was a random problem with my lender, but she fought for me and sorted everything out. I am so grateful. I would definitely recommend Irma. You can’t go wrong! Marci is the greatest! She is devoted to you and your needs, a great negotiator, and a calming presence during a stressful time. She wanted to be sure the property is what we wanted, not settle for less. Marianne seems to know a homeowner is selling before they even know it! She’ll keep you ahead of the craziness in the valley. She found us a home that not only had all our “must haves” but everything on our wishlist too. After seeing a dozen homes, we thought we’d need to really start compromising, but she went well above and beyond and found us exactly what we wanted, exactly where we wanted it. I’ve used this realtor to buy, sell and rent out properties in Glenwood Springs and New Castle. Service is excellent and their knowledge of the area and the real estate market is outstanding. You can’t go wrong using The Property Shop. Thanks, Marianne! These ladies are the best around. Our agent was the perfect match for us. She could not be more appreciated by my husband and I looking in a new area and we were so determined to find the most amazing home. Marci drove us all over the area, gave honest feedback and I feel like she was just as invested in our dream home. It never felt like we got lip service and that is so rare in this field. Thank you Marci and your whole team!!! Great staff! Awesome ladies to work with. I highly recommend The Property Shop. Amy is Awesome!! Great People, Great homes, Love Great Ladies work there. I would definitely recommend TPS! It is highly likely that I would recommend TPS. It is unlikely that I would recommend TPS. I would not recommend TPS. Or leave us a review here! © 2019 · Property Shop Inc. All rights reserved.